Showing results by author "Diana Kirschner, Ph.D"
Narrated by: Diana Kirschner Ph.D. 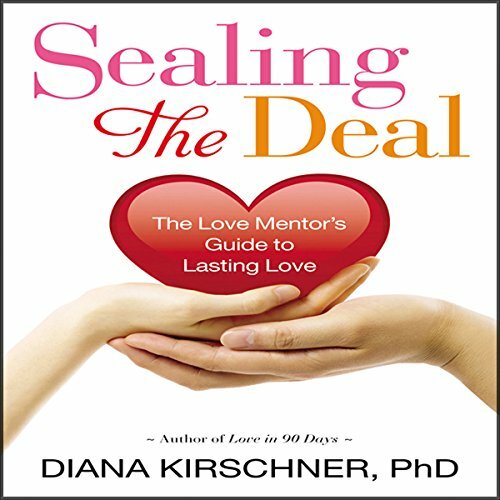 Through her best seller, Love in 90 Days, Dr. Diana Kirschner helped thousands of women find true love. Now she has written the perfect follow-up: a unique guide to deepen any love relationship, to move from casual to committed, and ultimately to go from the anxiety of not knowing where things are going... to the security of fulfilling and lasting love. Love Mentor Dr. Diana offers revolutionary advice for finding - and keeping - the one you love. Chicks need this advice- I recommend!